The ultimate vocal course with the ultimate warmup CD! 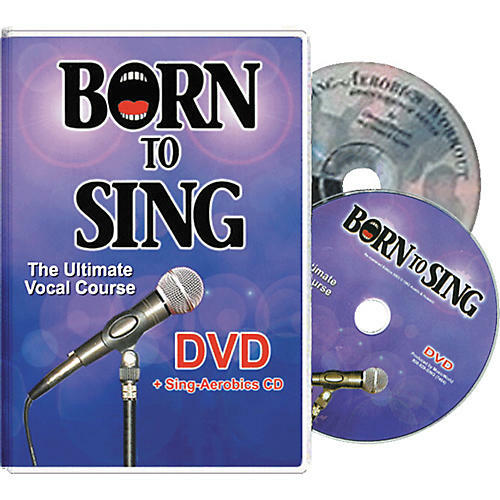 Best-selling vocal method from the authors of the Born to Sing series applies to any styles and includes a 60-minute vocal techniques DVD and a 30-minute Sing-Aerobics CD. DVD covers breathing, support, focus, resonators, consonants, volume, vibrato, resonance, registers, upper mix, and lower mix. The CD includes a daily workout for high and low voice so you can warm up at home and on the road. Give your voice a makeover--order the Vocal Technique/Sing Aerobics (DVD/CD) today!